Service, break down, repair & installation of Natural Gas, LPG and Oil boilers and cookers. We aim to provide these services in partnership with the client in the most punctual and pleasant manor possible. 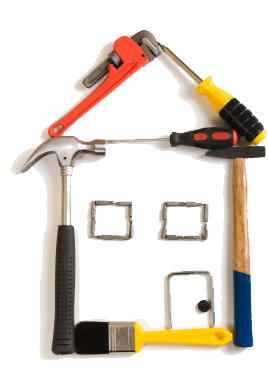 All services are carried out by professionally trained operatives with years of experience in their trades. From the design to the installation of domestic services to a dwelling we can provide you with what you need. Hot & Cold services, Central Heating, Solar Panels, Un – Vented Cylinders & Under floor heating are all part of our portfolio. We can install these systems in Oil, Natural Gas & LPG fuels. We have for a number of years worked with housing associations and public bodies in upgrading and installing heating systems. We also work with private landlords and one off customers and are confident that we can meet the needs of any customer. We are one of the leading installers of D-Chp units within the domestic gas market. D-Chp units are combined heat and power units. They work just like a normal boiler whilst at the same time producing electricity for your home. It is guaranteed to reduce your power bills and will help to reduce your carbon footprint. They can be installed and managed in the same manner as a standard heating system but with the added benefits. Solar panels are a fast growing way of reducing your carbon footprint. They reduce gas usage and even in bad weather can heat your water. Solar panels can generally be incorporated into any system however some systems may require small adaptations in order to integrate. Un-vented systems are a quick and easy way of providing mains pressure throughout the house. They also have the added benefit of doing away with tanks in the roof space. They can be installed in any type and age of dwelling. It is recommended that all boilers are serviced every year in order to maintain their lifespan. We can provide a full service for any domestic oil or gas boiler carried out by experienced and competent engineers registered with the approved health and safety bodies. We are specialists in adapting bathrooms to cater for the needs of people that are less abled or may require assisted showering. Features include hand/grab rails, toilet frames, true level access shower installations and non – slip flooring. We can also install closomat type specialist toilets and lever operated type taps for ease of use throughout. Ramps are an alternative way of accessing the property for people with walking and or access difficulties. Each site is surveyed to establish if the recommended gradient can be met and the ramps themselves are poured in concrete and have galvanised rails protecting any exposed sides. We can also provide hand/grab rails anywhere were there may be a need for them as well as stair rails etc. Alterations to dwellings to accommodate more space in the dwelling. These include a ground floor bedroom with level access disabled shower and bathroom suite attached. We provide an emergency response unit to deal with any problems ASAP. We provide cover 24/7 and 365 days of the year for all of our trades. Should you have any queries or we can be of any assistance do not hesitate to contact us through our contacts page.